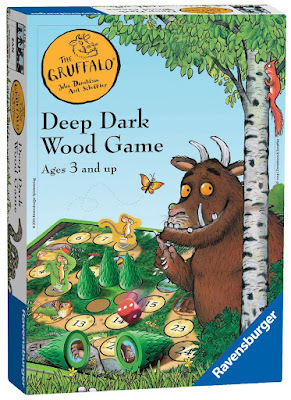 WIN #40: Ravensburger - The Gruffalo, Deep Dark Wood Game! 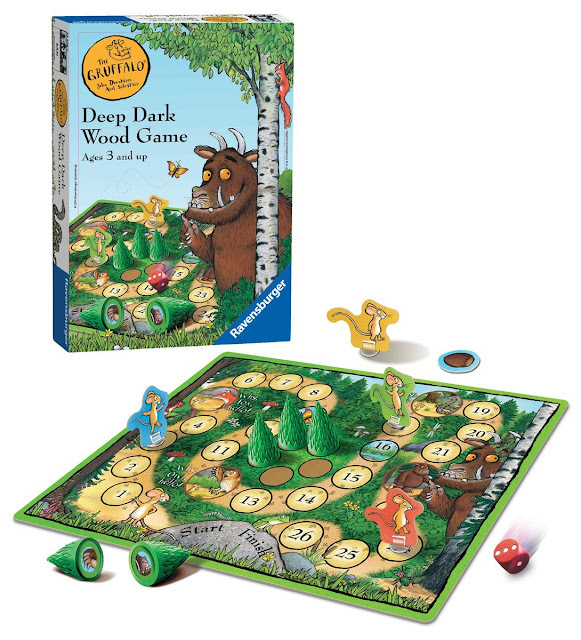 Win The Gruffalo Deep Dark Wood Game from Ravensburger worth £9.99. A mouse took a stroll through the deep dark wood where a fox, an owl and a snake saw the mouse and the mouse looked good! Can you help your mouse to get home safely? All you need is a little luck of the dice and a good memory! If you find the image of Gruffalo under the trees you will scare the hungry animals away! A fun and simple game for 2-4 players. 10 minutes average game time. Great for hand to eye coordination. 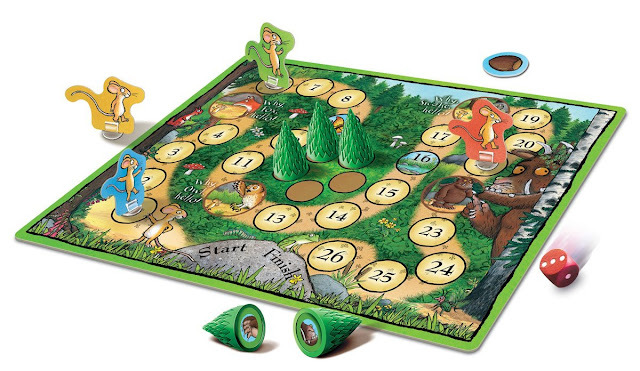 Helps to develop memory and numeracy skills. x4 mouse figurines with stands.